Since 1926 Seacoast National Bank has helped people improve their lives and build our communities. 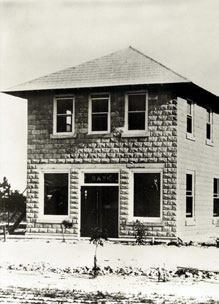 The Stuart community was without a bank for several years. The Florida land crash of 1924 had wiped out most of the banks. Credit was almost non-existent; payments took place by barter. Several people approached Dennis Hudson and asked him to move his bank to Stuart. Today our offices stretch from Palm Beach County throughout the Treasure Coast into Orlando and west to Okeechobee and surrounding counties. This is who we are - a local bank in the communities we serve and proud of it. We exist today to learn and understand the needs of our customers and communities and then work hard to provide solutions. Our expertise and experience enable us to help simplify the financial part of your life, and therefore free up your time and energy for other activities. After all, finances affect nearly every aspect of our daily lives in one way or another. You will come to know us as your trusted advisor. We believe in old fashioned integrity and trust and try to do what is right every single day. Local decision makers with local phone numbers are always available to you. That, together with just the right amount of technology, makes us a perfect fit for you. Everything we do is based upon core beliefs that are summarized in our "4 Promises". Get you comfortable with the right products and the right team to serve you. A perfect fit. Simplicity. Expertise. Convenience. Community. Technology with a human touch. * No fees at Publix® ATMs, mobile and online banking features not available with Personal Free checking account.